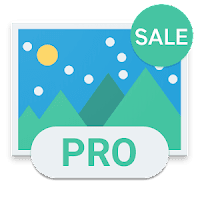 With WallHub you can set pro background of your phone from a premium collection of wallpapers WallHub provide you with collection of wallpapers such as Nature, Girls, Texture, Paint it Black, Macros, Urban,Peace, Space, Her, Meditation and a lot lot more. These collections have huge amount of wallpapers totaling to 18000 and increasing. Browse through stunning collection of Wallpaper that can change the way your Android screen looks. Black, quirky, colorful designs: custom made and hand picked. 1700+ wallpapers as of now. Download wallpaper option is disable in free version. Pro version will enable you to download the wallpapers. Going Pro unlocks extra features, including a completely ad-free experience, and the ability to save 'Explore' wallpapers.